Learn how Trip Assistant, ForeFlight's door-to-door flight and fuel stop planner, can help you answer the question, "When do I need to leave to arrive on time?" How fast and accurately you can compute total door-to-door trip time – including flight, stopover, and drive times. How Fuel Stop Advisor automatically suggests stopovers that minimize trip time and fuel costs (and conveniently displays your contract Jet-A pricing). 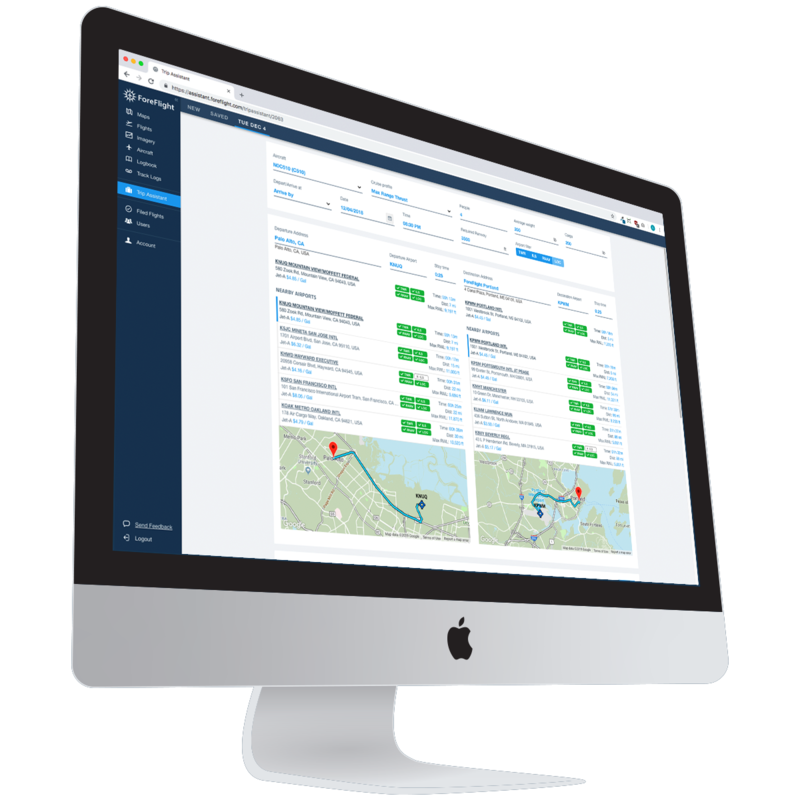 How Trip Assistant's flexible forward and backward planning can meet the needs of any flight. How easily you can locate nearby airports when searching for an address, business name, or place name. How integrated traffic forecasts saves you the effort (and frustration) of guessing what the roads will be like. Schedulers, Dispatchers, Self-dispatch Pilots, Executive Assistants, and anyone who has a hand in trip planning for a Part 91 or Part 135 flight department. Sign Up & Watch the Trip Assistant Webinar Now!